What is architecture? Where do we get in touch with architecture? How do animals build their homes? These and other questions answers the exhibition “Archinature” at the Graz Children’s Museum FRida & freD. 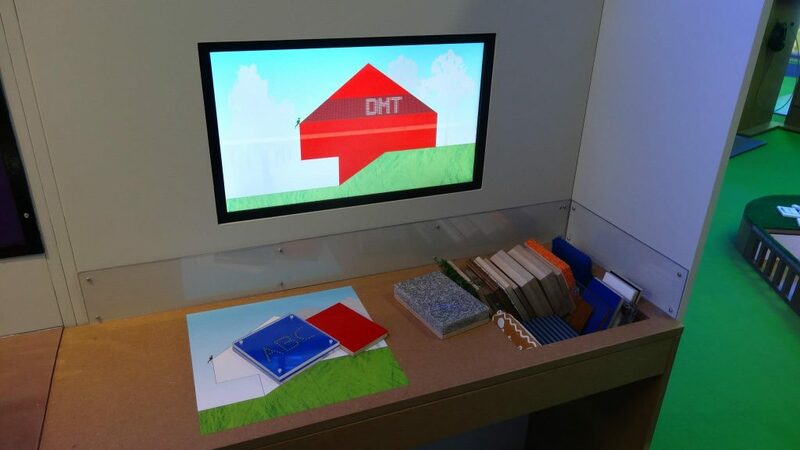 DMT developed for the exhibition „Archinature“ nine exhibits and a variety of video player in cooperation with FRida & freD – The Graz Children’s Museum. 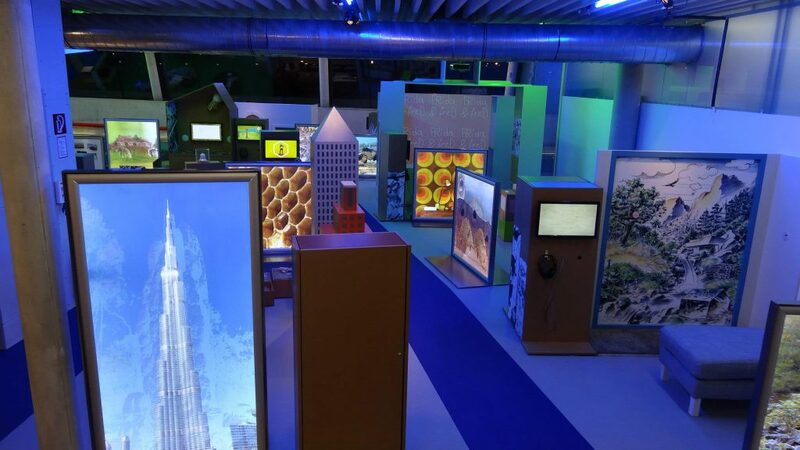 Our museum management server xCocos controls all exhibits and eases the daily business. 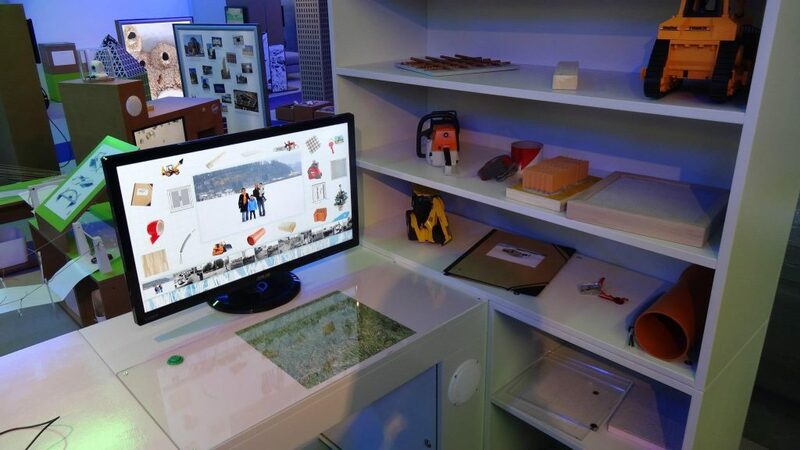 Children can explore the steps, which are necessary to build a house, by interacting with real models like measuring tape, dredge or barrier tape on the planning desk. The software recognizes the objects with RFID technology and gives feedback according to the object. How should your house front look like? Children are able to creatively deal with this question. Children design their favorite house front with models of various plastering, colors, windows. The models are recognized with RFID technology. Steel is an important material for modern architecture. 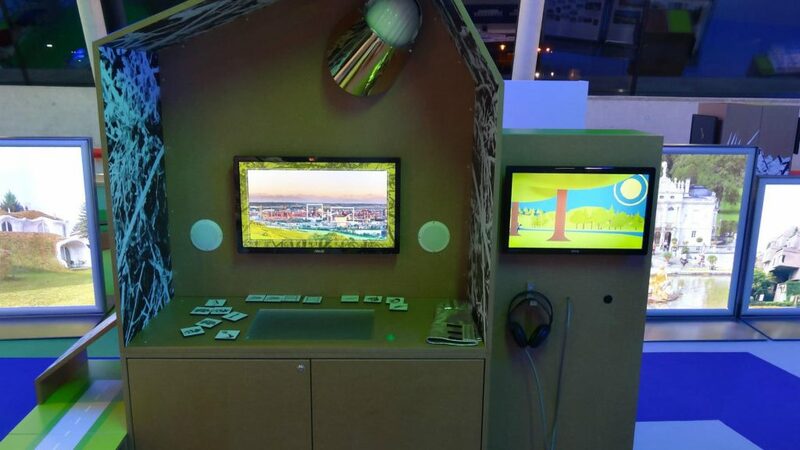 Visitors are able to produce virtual steel, by placing the required material on a work bench and interacting with tools until ore becomes steel. The station uses optical image processing with fiducial markers to capture position and movement of the objects. 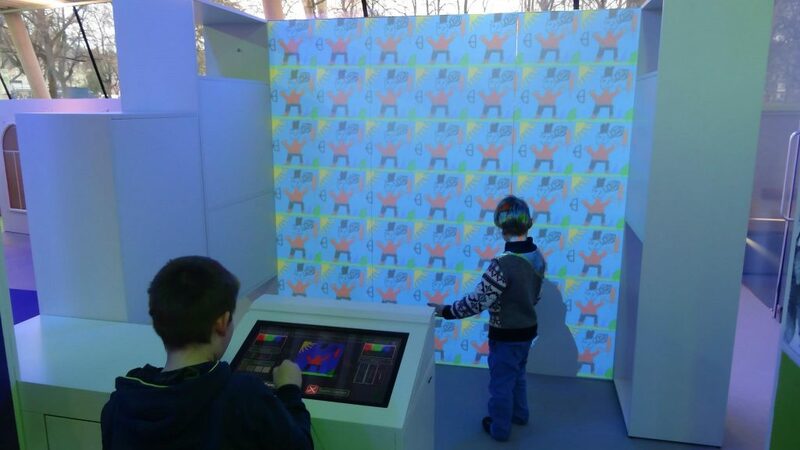 This exhibits allows children to be creative and to design their own wallpapers. It offers a free design process, but also explains the principles of paperhangings.